As a nation, we are becoming older. Interestingly, while many people view this as somewhat of a negative (most likely due to the age related declines in health and function that can come with becoming older), I would unquestionably argue otherwise. Getting older means more time with friends and family. It means more time to do the things that we love on a daily basis. It means more time to pursue our goals and our dreams. More time with our children and grandchildren. In short, it means that we are going to get more time on this earth – so seriously try and tell me that’s a bad thing? Now the biggest issue with this, is that as we age we do become increasingly susceptible to specific issues. Older males tend to see substantial increases in the risk of developing joint issues, an increased risk of cardiovascular dysfunction and metabolic disease, all in conjunction with associated age related declines in cognitive function. In a very similar fashion to their male counterparts, ageing females also typically see a decline in cardiovascular health, an increased risk of developing metabolic diseases (such as diabetes and obesity), in conjunction with associated declines in mental function. Additionally, women post menopause have a significantly higher risk of developing osteoporosis – a disease typified by a significant reduction in bone mineral density that greatly increases the risk of bone breaks and fractures. There has been a host of research looking into the role that specific supplements can play in staving off age related declines and function, ensuring that we maintain a high quality of life well into our old age. What should I look for in an age related health supplement? The supplement industry for older populations is one of the most successful in the world – not only because of its importance, but because the research has been overwhelmingly positive. 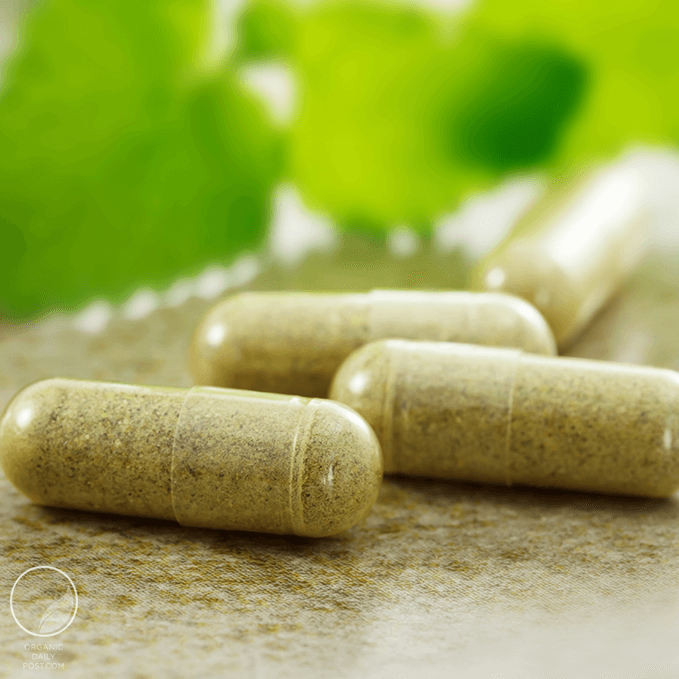 With this in mind, the supplementation of specific compounds has been shown to have massive health benefits for males and females over the ages of 40 and 50. Vitamin B12: is an essential vitamin that plays helps maintain function of red blood cells, and brain cells. With this in mind, supplementing with vitamin b12 can go a very long way to maintaining cardiovascular health, while also staving off any age related declines in cognitive function . Omega 3 Fatty Acids: are one of the most important compounds on this entire list. Commonly known as fish oil, this specific supplement has been shown to improve cardiovascular function, lower blood cholesterol levels, lower blood pressure, and improve cognitive function. With this in mind, omega 3’s are integral to marinating optimal health into our older age . Vitamin D: is a key vitamin that becomes increasingly important in both males and females after the age of 40. Vitamin D deficiency has been linked to an increased risk of cardiovascular disease, diabetes, multiple sclerosis, and cancer – thus by supplementing with Vitamin D we greatly reduce our risk of age related disease and illness . Magnesium: is an amazing mineral that has shown to reduce systemic inflammation in the elderly, while also increasing bone mineral density. As such, the supplementation of magnesium can go a long way to cause substantial improvement in general health and wellbeing, reduce the risk of age related disease, all while increasing bone health . Chondroitin and Glucosamine: are two key compounds that are used to build and repair joint tissue and cartilage. As such, their supplementation can go a long way to reduce age related declines in joint health, thus improving daily function and mobility . Boron: is a key mineral that is recommended for males specifically as it has been shown to cause large improvement in prostate health. This can greatly reduce the risk of prostate cancer as we age, while also reducing the likelihood of developing incontinence . Calcium: is a key mineral that plays an important role in maintaining bone health. As women become post-menopausal, they tend to see a large decline in bone mineral density, which can cause an increased risk of breaks and fractures. As calcium supplementation can reduce this risk, it is an extremely important compound for older women . So which supplement is best for me? While each of these compounds hold significant importance in regards to maintaining health as we age, the amounts they are provided can be important. It is for this reason that specific supplements have been developed for males and females within specific age ranges, to ensure that they are getting the essential compounds in good dosages. In the following section we have gone ahead and found the best supplements available on the market for males and females both over 40 and over 50. 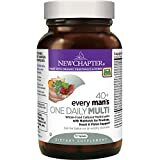 This multivitamin by New Chapter is designed specifically to meet the requirements of men over the age of 40. Using high quality ingredients provided in potent dosages, this is one of the most efficient options to ensure health. As an added bonus it also includes additional herbal ingredients that have been suggested to improve prostate health and function. 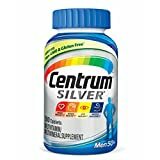 Centrum has for a very long time been considered one of the premium supplement companies on the market, well known for producing high quality products with excellent effectiveness. This particular supplement is designed for men over the age of 50, and has included key ingredients known to stave off age related declines in cognitive function, while also ensuring metabolic and cardiovascular health. Placing importance on delaying declines in cardiovascular and metabolic health, this supplement by New Chapter is an excellent option. Additionally, this particular choice also includes key probiotics, it also has the capacity to reduce the risk of age related digestive issues. 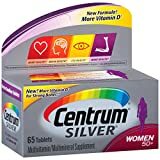 As previously mentioned, Centrum is hands down one of the most effective supplement brands on the market. This particular option places a premium on post-menopausal health, including key ingredients known to improve bone health and energy production. This also comes with ingredients essential to staving off age related declines on cognition and physical function. Getting older is unavoidable – but that doesn’t mean we have to cop all the negative health effects that come with it. 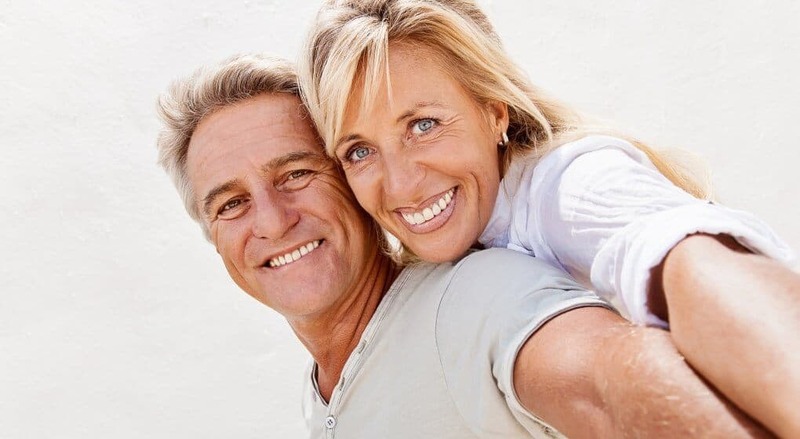 By supplementing smartly, we can limit the unwanted impact of age on cardiovascular and metabolic health, physical function, cognitive decline, and bone health, thus ensuring a long and healthy life. If you have had any experiences with the supplements listed within this article, we would love to hear about it – so drop us a comment and we will get back to you ASAP.